Thanks to the West Coast Regional Tourism Organisation for the map. For many this area typifies the West Coast with its quaint fishing villages, sea-side resorts and ever popular lagoon. 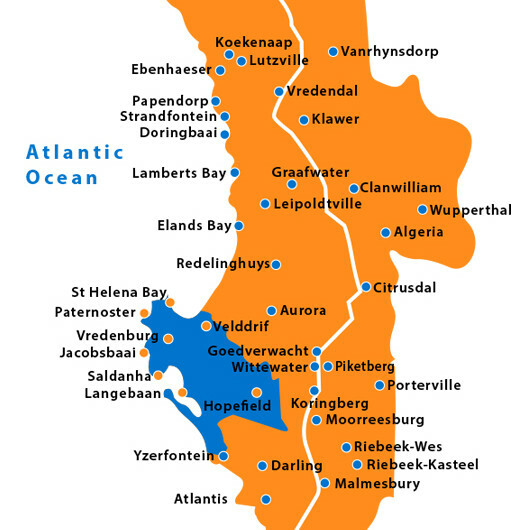 It lies south of the Berg River mouth and includes the West Coast National Park. The harbour of Saldanha and administrative centre of Vredenburg are within sight of each other and are both major contributors to the economical wellbeing of the West Coast. This project’s main objective is all aspects of fundraising, research, support and providing care for HIV/AIDS patients. 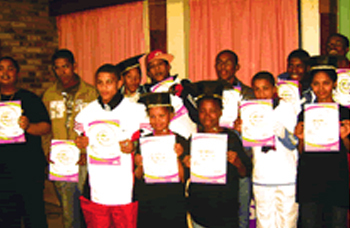 They serve all the communities of the Saldanha Bay Municipal area with support and launch awareness raising campaigns. The project helped the young leaders develop their skills and be confident. Since they received the funding they have managed to reach more than 1000 young people per event. The events that they launched successfully are youth days, sport clinics, LoveLIFE dance competitions, women’s days and Voluntary Testing and Counselling on World Aids days.